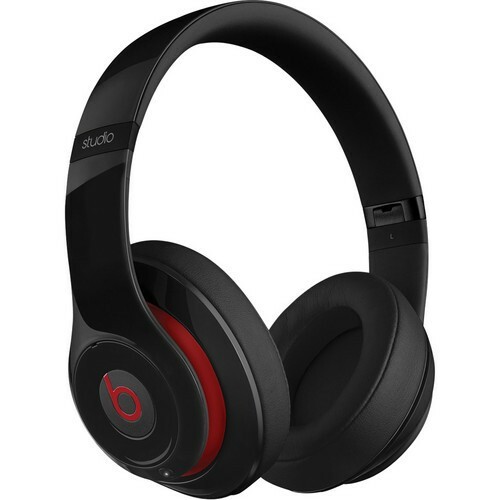 Features: The black Studio 2.0 Over-Ear Wired Headphones from Beats by Dr. Dre are designed for playing back audio as well as taking calls from your mobile devices. They feature Beats Adaptive Noise Cancelling technology, which can be used while listening to music or by itself to reduce background noise from your commute or environment. Their noise canceling and DSP are powered by the built-in rechargeable battery that provides up to 20 hours of use per charge. The battery can be recharged via the included USB charging cable and USB power adapter. The headphones themselves have a foldable design for storage and transport. The Studio 2.0 headphones ship with a 1/8" / 3.5mm audio cable, a RemoteTalk cable, and a hardshell carrying case.